Swimmers will try just about anything to fix their chlorine-damaged hair and have tried many DIY home remedies for swimmer’s hair. These remedies even including a wide assortment of food. Take for instance Mikayla Burns who swears by using ketchup. And not just any kind, but their family favorite: Wattie’s. According to this article, the Burns go through a bottle a week during the summer to control the chlorine damage from swimming. Without the ketchup, they claim, their hair will turn a greenish tint. Thanks to Goodbye Chlorine, swimmers will no longer be mistaken as hors d’oeuvres, a condiment or favorite party dip. The reason many of these DIY home remedies work to cure swimmers hair is that many of them contain vitamin C. Vitamin C is a strong anti-oxidant. Vitamin C reacts with, neutralizes and releases chlorine on contact. 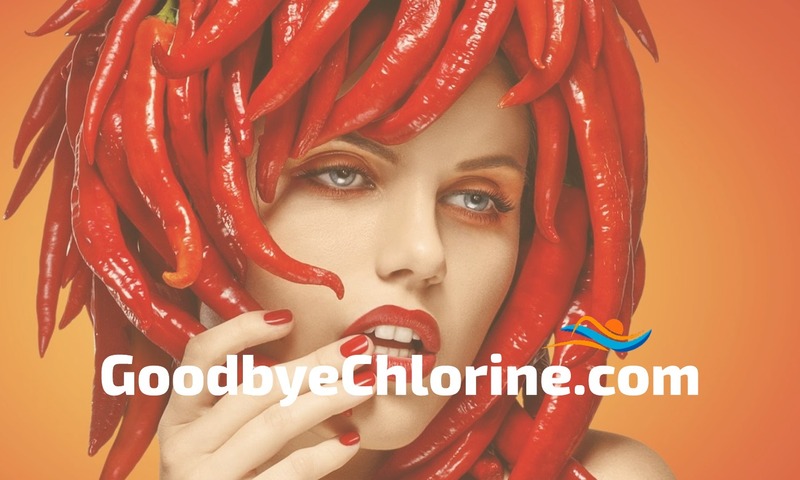 It’s why we use loads of vitamin C in Goodbye Chlorine products–it’s the ingredient that gets the chlorine out. Releasing the chlorine is one of the many factors we consider when formulating products. Gently removing chlorine once it is neutralized, returning a balanced pH to the hair and skin and moisturizing are some of the other key features of our products. Our products will gently remove chlorine from your hair and skin after swimming in a chlorinated pool. Swimmers who use our products win the battle against dry brittle (an even tinted) hair. Find other useful personal care products made for swimmers in our store. Why chlorine is important for public health.